A Note from Fatty: Thank you to all the folks who sent in guest posts, covering for me while I’ve been away for the past couple weeks! There are times where I wish there were more than one of me. Since I am such an extraordinarily interesting and handsome person, I can imagine I’m not the only one who thinks this. In fact, I’m a little bit baffled that scientists haven’t contacted me, asking if I’d be willing to give them a clump of hair (this would actually be a problem) or let them swab the inside of my cheek or something, so they could clone me. Because — in addition to the general increase of handsomeness in the universe — if there were more of me, I (we) might be able to write about everything I (we) have to write about. 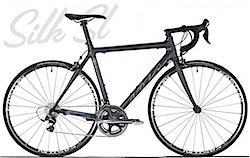 I want to write about the LiveStrong fundraiser I’m doing, for example, where you could win the Ibis bicycle of your choice, built up with top-notch Shimano components. Or a trip out to ride with me (or one of my clones). As is, I’m going to have to wait for a couple days to talk more about that (But you should still go donate right now). Meanwhile, another one of me would be editing and posting the stories that are beginning to pour in about last weekend’s 100 Miles of Nowhere (and if you haven’t written your story, it’s not yet too late to send it in). And another one of me would be writing the story about my own 100 Miles of Nowhere effort (hint: it involved considerable mileage, climbing, and suffering). One of me would probably be assigned to start writing fake news and addle-brained analysis. Because I have a few things to say about a few things. One of me would be working on the two books I want to get written this year. And — oh yes — I suppose one of me should probably be doing my day job, too. The thing is though — and believe me, I feel as acutely as you probably do the injustice of this fact — there is only one of me. 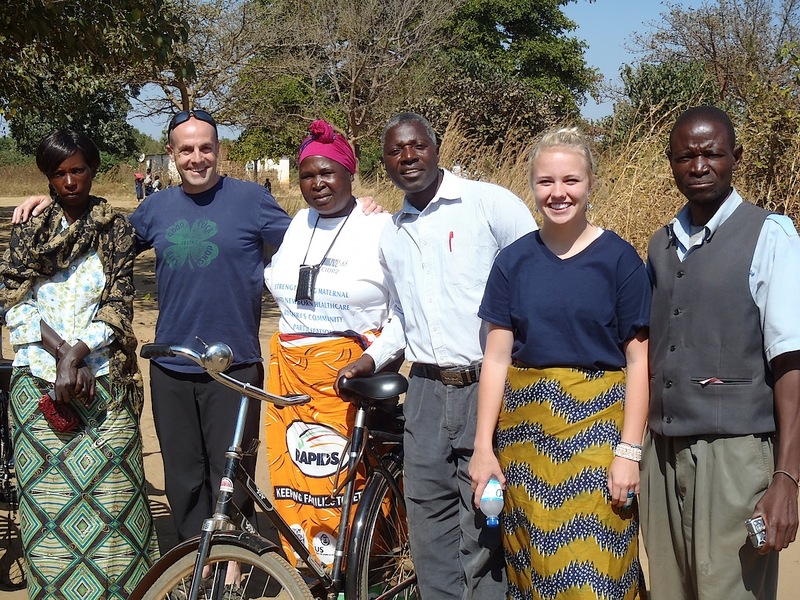 And the thing I can’t get out of my head right now is the trip I just got back from, touring Zambia with World Bicycle Relief. So that’s what I’m going to write about today. 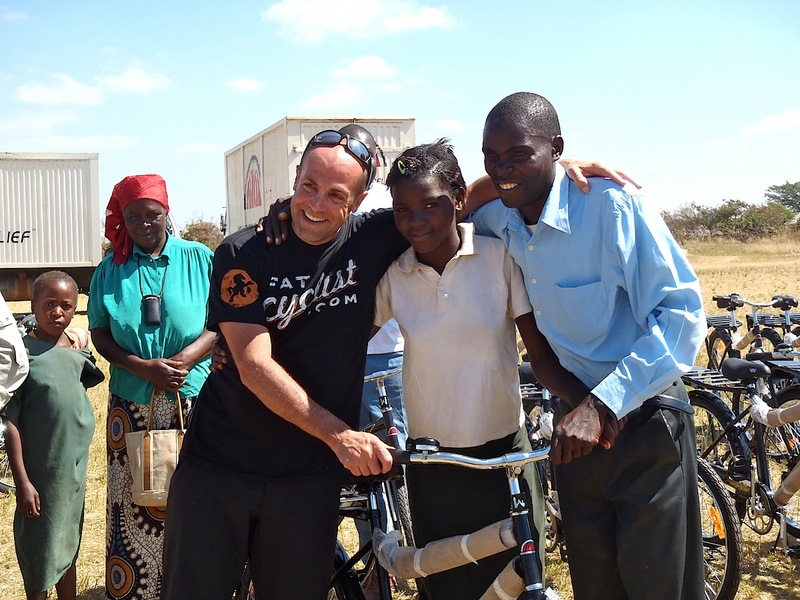 For those of you who are new to this blog (or are over 40 and therefore no longer have a functioning short term memory), last July, Johan Bruyneel and I kicked off a big ol’ project, which we called “Grand Slam for Zambia.” The idea was to raise enough money for World Bicycle Relief to buy 1000 (that’s where the “Grand” in the project name came from) bikes for kids in Zambia. As part of this project, some of my family and I got to visit Zambia, to see what kind of difference a bike makes to a person in Zambia. And the experience has changed me. No, not in a “I’m going to put on a sad face and be really serious and wear sackcloth and never have any fun anymore” way. More of in a “Wow, I love how amazingly good people can be to each other when they try, and I want to be a part of this” kind of way. So, while I’ll go into detail on my trip later, here are some of the big moments and lessons I picked up on this trip. The lady with the pink scarf told us about how she’s given a woman in labor a ride to the hospital on the back of her bike, and then got a call to go help another of the people she watches over. 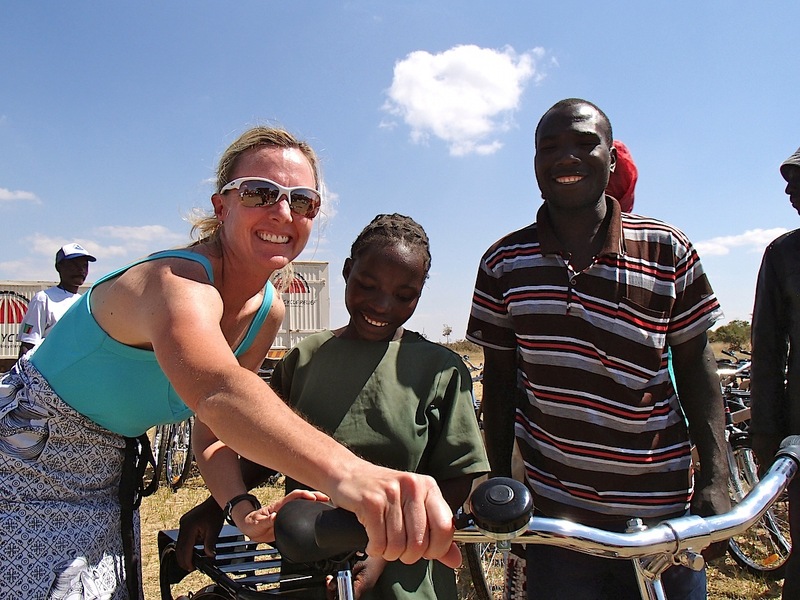 A bike from WBR has made it possible for her to take care of more people. When you give good people good tools, they can do great things. Lesson 2: My son has a wild side. My 16-yo son came along on this trip. He’s generally a pretty reserved kid, so I had concerns about how he’d do meeting and interacting with a lot of strangers over the course of a couple weeks. 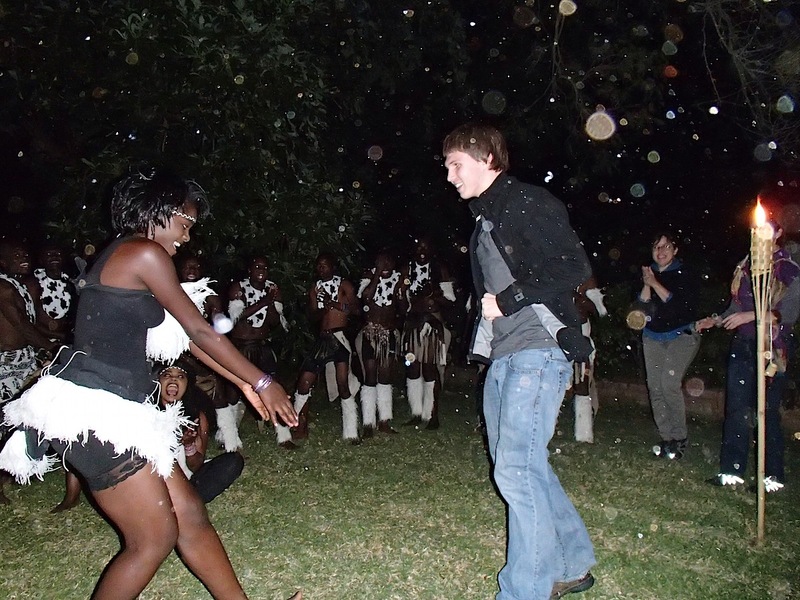 So it was pretty awesome when, during one of the evenings where we were watching a local group of performers, he was invited up to join for a dance. I figured he’d decline and maybe even resist actively if he had to. Instead, he jumped up and threw himself into it, wholeheartedly. Action Wipes: 400 of them: When you live in a place without running water (as most of the people we visited did), these were an incredibly welcome — and amazing to our new friends! — gift. Twin Six T-Shirts: My friends at Twin Six gave me 40 shirts to hand out to kids and adults as I see fit. 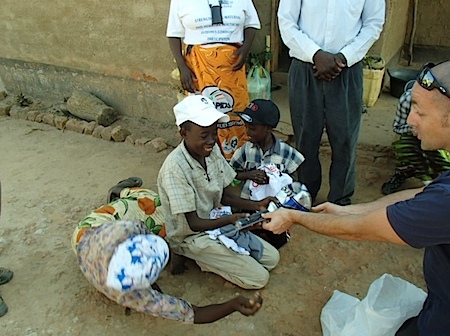 I’m pretty sure that for a lot of these kids, it was the first brand-new clothing item they had ever owned. In this picture, the mom is lying down on the ground, clapping — her way of showing extreme gratitude. I bet that kid hasn’t let go of that soccer ball yet. Lesson 4: The bikes we gave away mean more than we thought. On one of the days we were there, we did a big bike-giving ceremony at a local school, where we gave out the last 80 of the 1152 bikes the Grand Slam for Zambia had bought. I consider this my best speech ever, because it’s less than two minutes long, including pauses for translations. But what was amazing was how important these bikes were, not just to the kids who were getting them, but to their whole families. The girl in this photo was getting the bike, but the dad (on the right) shook my hand for about two minutes, thanking me over and over. Because this bike is going to improve the whole family’s life — immediately and drastically, for the better. I’ll go into detail how in a future post, but it’s not too hard to figure out when you think about their reality. How would a bike change your life if you lived six miles from school (or anywhere else), had no running water, and no form of transportation to move you or your family around? Lesson 5: There’s a lot more to do. And I’m looking forward to working with you to do it. Expect a detailed telling of my whole trip, a little at a time, during this summer. And be grateful that everyone was so stunned by my dancing that nobody thought to take a photo. In your last sentence, do you mean that everyone was so stunned by YOUR dancing that nobody thought to take a photo? Thanks for the first installment and thanks for the Grand Slam for Zambia sticker that arrived in the mail recently. I feel connected to those cyclists clear across the world. 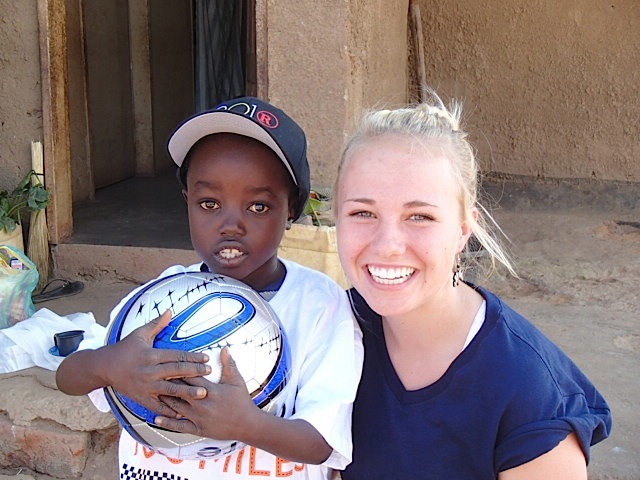 So good to hear about the trip! Can’t wait for the next installments! I am smiling for joy at this story. Great job, Fatty, The Hammer and family! Nice job, Fatty, Johan, Hammer, Swimmer and young not-so-fatty! It feels good to see our donations, first coverted to bikes, then to joy. Inspirational and amazing. Thanks for another great post and a reminder that nothing can stop Fatty’s Army– that we’re a force for Good, and that the fundraising we do has an immediate and lasting effect. AWESOME Fatty! Thanks for the shout out, but YOU my friend make it easy for folks like us to do awesome things. I think that’s what’s so cool about Team Fatty. What’s next? Sign me up! Kudos, Fatty. I’m proud and glad to have donated to this organization. Love the pics and stories and smiles. Keep ‘em comin’! This post made my day. All smiles in those photos. The song was outstanding. Awesome post, Fatty. Wonderful pics and stories so far, can’t wait for the rest. Omigosh, you got me all teary. So happy to have had the honor to play an ever-so-small role (ha – typed roll first – interesting imagery!) in this event. You rock, Fatty. I can’t wait to hear more about your trip. I know that my trip to Tanzania (as well as trips to India and Nepal) changed me forever — and in a great way. I hope your trip did the same for you and your family. Awestruck! Can’t wait for more details. Thanks for all the great work that you do. And the way you write really makes me feel a part of it! Makes a person eager to do their bit . D@mn you Fatty why do you make me cry at work! That picture of the little boy with the soccer ball…wow. Good stuff. Chapeau, Fatty. Powerful story and pictures. Awesome. Just plain awesome. Allez Fatty! Terrific. Fatty you are a fount of infinite inspiration. I can’t wait to shake your hand in Davis. Great job Fatty, WBR, and everyone who made this happen. Very nice… made my day. And don’t forget you can buy even more bikes by signing up for the Plus 3 Network. I have rode enough miles to get two more bikes! Super awesome! Thank you for allowing your readers to submit why they ride posts and soon 100 Miles of Nowhere posts. I’ve loved them! Wow. I can’t imagine living in those circumstances. I’m so spoiled. Makes me count my many, many blessings. Once again, I’m so thankful I stumbled upon your blog a few years back. I love being a part of this wonderful,kind, amazing, inspirational and awesome group of extended Fatty family. I’m so excited that I’ll get to meet some of them in Davis. Can’t wait to read more about your trip! Glad you are all back safe and sound. Well done Elden! Like Eric L, I look forward to shaking your hand in Davis. 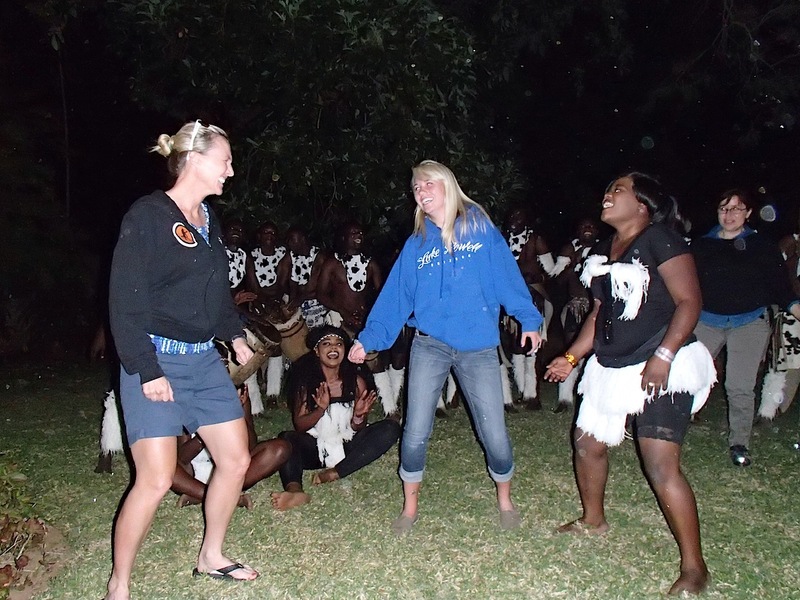 Maybe a little campfire on the lawn outside the Bicycling Hall of Fame…we could eat our brats and you could regale us with stories from Zambia…and some dance moves???? Proud to be a part of this awesome group. You go to a lot of trouble to help the ” Disadvantaged” ! Fatty & Fatties y’awesome all ! Welcome home, Fatty…it’s good to have you back, especially with stories like these. All, @carl makes a great point – I hope you are all a part of Team Fatty on the +3 Network, logging your miles for these folks. It’s become a natural and very easy part of my post-ride routine…I would feel like I was throwing away money if I didn’t do it. When was the last time you were so overcome with joy that you fell onto the ground or shook a guy’s arm off for two minutes? Makes you think a bit. Thank god crying is allowed in cycling, unlike baseball. Thank you for letting me a small part of this. I’m saving up for version 2, and THANKS for making it “personal” for us too! I just wanted to ask – did you ride the Elephant Rock century on June 3rd……I swear I remember seeing a jersey with Fat Cyclist on the back. What an amazing man you are – what a great gift you have given these people. 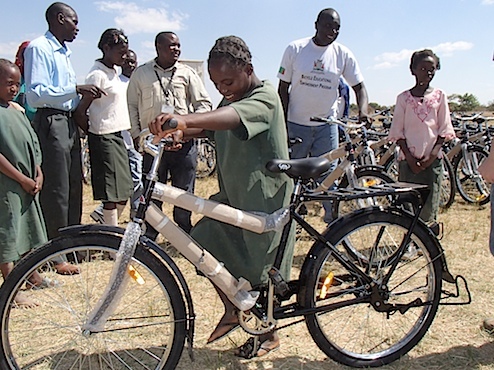 I have seen how much one bike means in Mozambique, so it must be the same in Zambia. Count me in again for the next round. HOW does 32 million euros raised so far on L’Alpe d’Huez for the Dutch CANCER Research foundation sound to you Guys ? Didn’t know it was possible to ride today also , got a lot of catching up to do in the morning ! Thanks so much for letting us be part of something so deeply meaningful and for contributing to making the world smaller and humanity more connected! Proud to be part of Team Fatty even if I haven’t seen a bike from close by for over 20 years! I’m terribly jealous, of both the trip and being able to use your work on the internet to do something so good. Fatty,you make it sound like Zambia, where I live, i might add, is all poverty, hopelessness, and like we don’t look after our own, you forgot to mention how you hardly ever hear a Zambian complaining, that thezambian people are the most hopeful, polite,welcoming people. 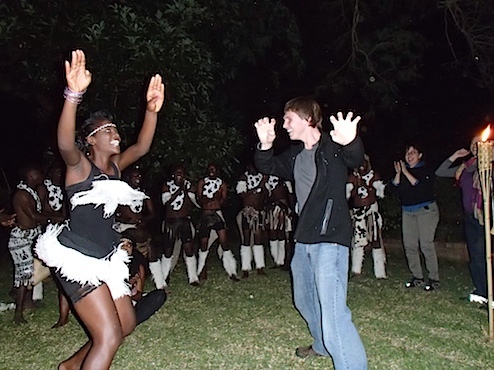 You also forgot to mention that it is for a country with a huge diversity of tribes, one of the most stable in Africa. Im glad you enjoyed your trip and what WBR is doing for the many people who receive these gifts, but you paint picture of our country where you neglected all the truly phenomenal things about this country, next time you’re here do yourself a favor take a couple days off from doing great things go see how great we are.